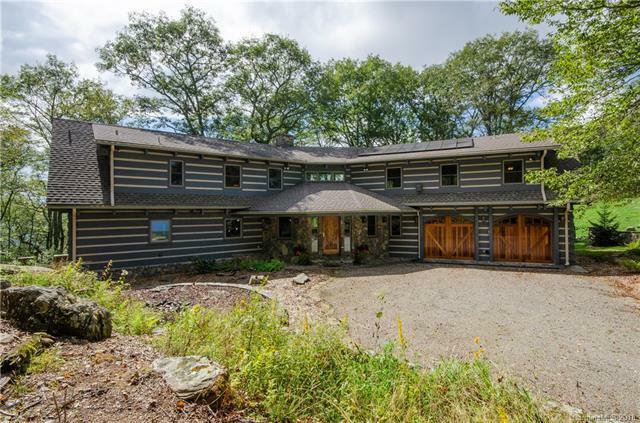 Located at 5200 Feet elevation in the incredible Cataloochee Ranch Subdivision adjacent to the Ranch and Ski Lodge is this well-maintained Cedar and Stone Log home. The recently freshly stained 3BR/BA home features miles of long range Mountain Views, a Water-fall water feature, usable Mountain and native landscaped grounds, sweeping covered porches and stone patios, spectacular curb appeal, plenty of flat parking, oversized 2 car garage, whole house generator, two story living room with floor to ceiling stone Wood Burning fireplace, an additional huge family room with stone Fireplace, two master suites, guest bedroom and bath, hickory flooring, spacious bonus/craft/hobby room, grand office, huge workshop, and spacious storage room. Enjoy the use of the hiking trails, swimming pool, pond, horseback riding, and fine dining that the ranch itself offers and the nearby snow skiing. Home is being sold totally turn-key. This is a once in a life time find at an unbelievable price.